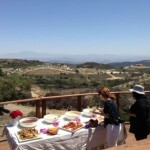 In the middle of winter, fresh fruits and vegetable options take a bit of a dive – that is unless you live in California. Fortunately for the rest of us, there are some delicious vegetables that reach peak flavor in winter. 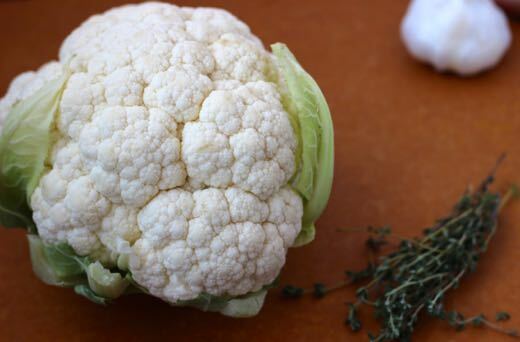 Given the common nutrition advice to “eat the rainbow,” white vegetables like cauliflower are often overshadowed. But skipping cauliflower would be a mistake. A member of the cabbage (cruciferous vegetable) family, cauliflower is packed with cancer-fighting compounds. Cauliflower an excellent source of vitamin C to help keep you healthy throughout the winter and contains folate, a key nutrient for heart health and proper tissue growth and development. Though white is by far the most common, cauliflower is also available in green, yellow and purple. Like any vegetable with water-soluble vitamins like vitamin C, get cauliflower as fresh as possible. 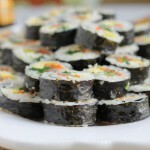 Don’t let it hang out in the fridge too long or it will start to lose some of those vital nutrients. 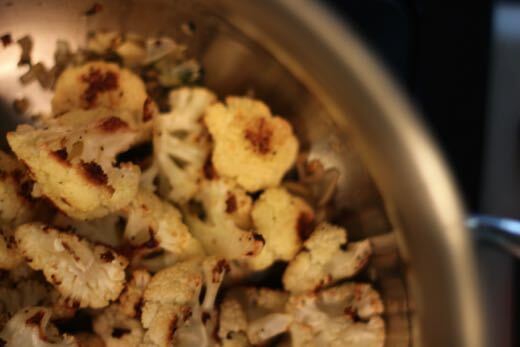 My favorite way to prepare cauliflower is roasted. As it caramelizes, it reaches slightly sweet perfection. Slice it thick into a “steak” or break off the florets and roast on a sheet pan as I did in my Roasted Cauliflower Thyme Soup recipe below. 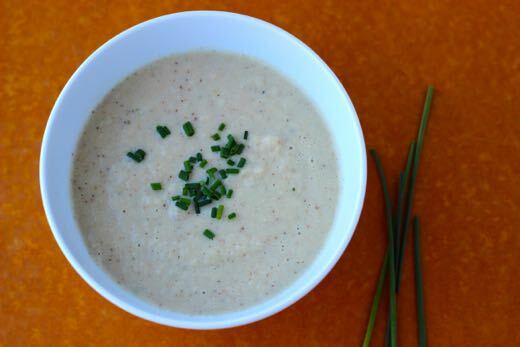 Cauliflower puree can be used as a delicious lower calorie alternative to mashed potatoes. And if you’re short on time, enjoy cauliflower raw as a vitamin C rich snack, simply sauté it for a quick side dish or add it to a stir-fry as you would broccoli. So let’s get to the recipe. Though you may be tempted, don’t skip the roasting step. 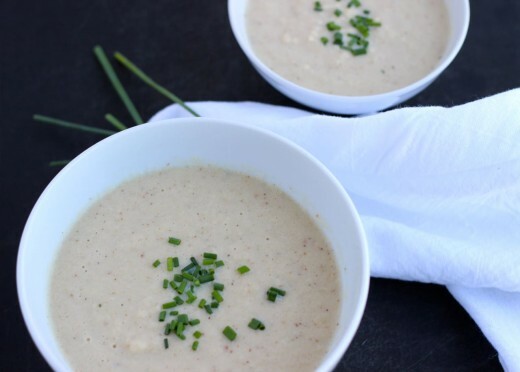 It’s essential for the flavor of this soup and well worth the extra time. Break the cauliflower into equal pieces for even cooking. 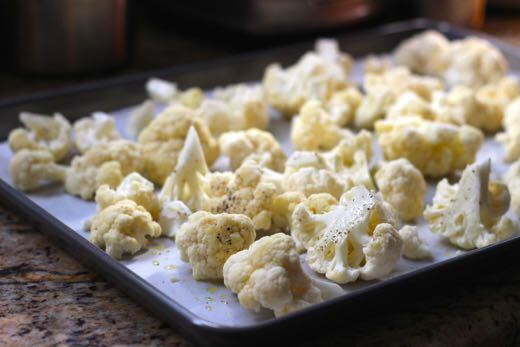 Spread the cauliflower (florets and stalks) onto a KitchenAid® Professional-Grade Nonstick Half Sheet Pan. Drizzle with 2 tablespoons of olive oil, salt and pepper. While the cauliflower roasts, add the rest of the olive oil, shallots, garlic and thyme to a KitchenAid® Sculptured Stainless Steel Stockpot. Sauté over medium-high heat just until fragrant. Add the roasted cauliflower and broth to the stockpot. 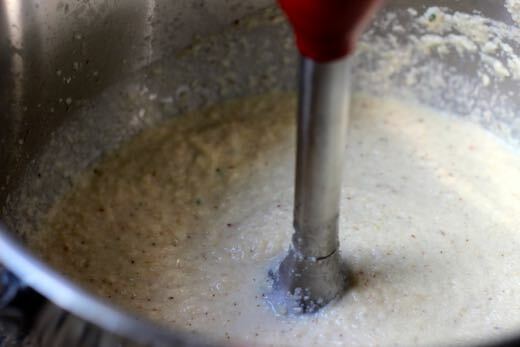 Simmer for 30 minutes or until the cauliflower is tender. Remove the pot from the heat and add in the half and half. 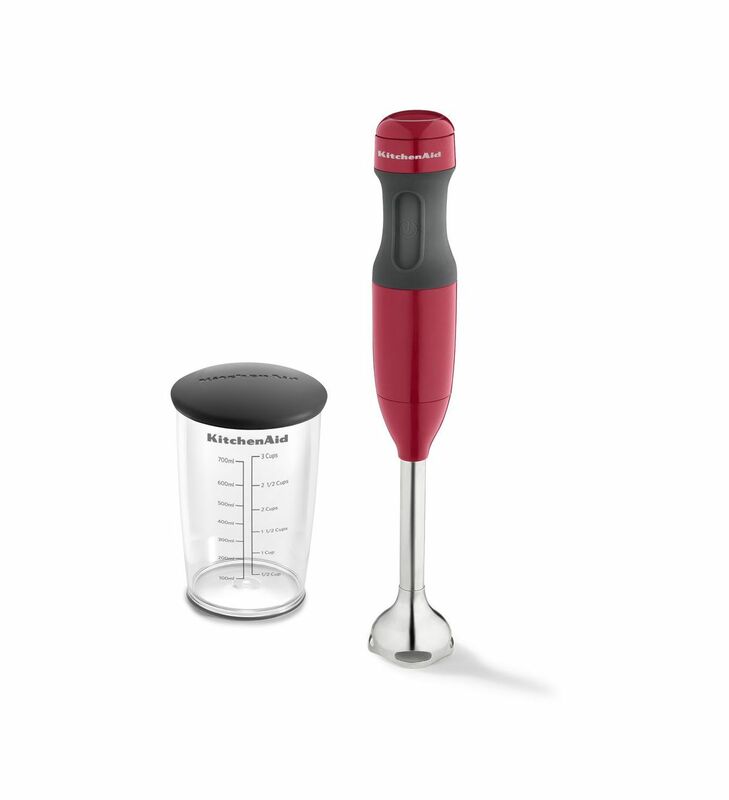 Using the KitchenAid® 2-Speed Hand Blender, blend the soup in the pot until it’s smooth. If the soup is too thick, add warm broth or water to thin to the desired consistency. With a deep, roasted flavor, this soup eats like a meal. Garnish with leftover herbs, nuts and/or a little Parmesan cheese if you’d like. 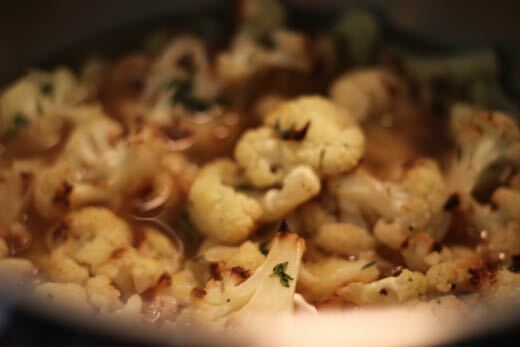 Spread the cauliflower florets onto the KitchenAid® Professional-Grade Nonstick Half Sheet Pan. 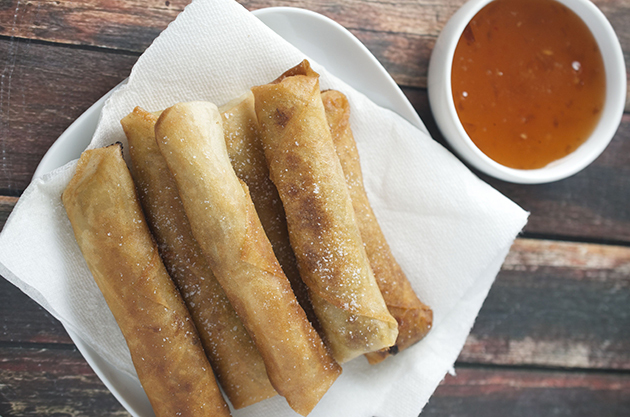 Drizzle with 2 tablespoons olive oil and add salt and pepper to taste. Roast the cauliflower at 400°F for 30 minutes, turning once. Remove from the oven when done. 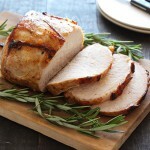 In a KitchenAid® Sculptured Stainless Steel Stockpot, heat 1 tablespoon olive oil over medium heat. Sauté the shallots, garlic and thyme just until fragrant. Add the roasted cauliflower and broth to the stockpot. Cover and simmer until the cauliflower is tender (about 20-30 minutes). Add the half and half. Using the KitchenAid® 2-Speed Hand Blender, blend the soup in the pot until smooth. 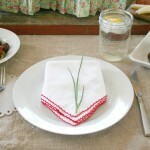 If the soup is too thick, thin with hot broth or water as needed. Garnish with leftover herbs, nuts and/or parmesan cheese. Serve warm. 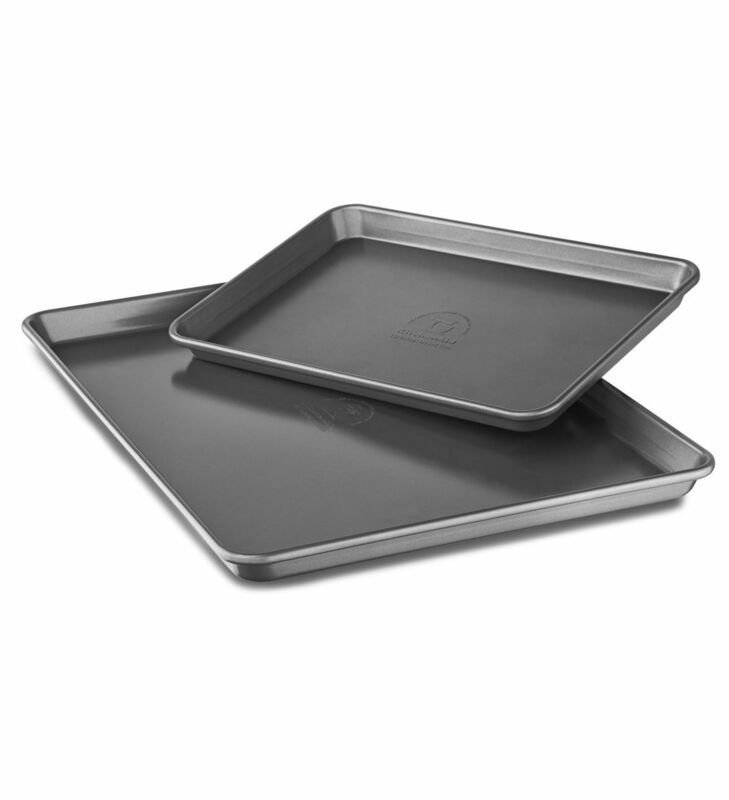 The nonstick coating releases contents easily for effortless cleaning. Learn More. The 2-Speed Hand Blender let's you blend, puree, and crush with ease. Learn More.